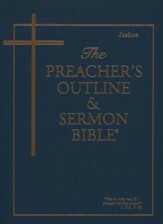 The Preacher's Outline & Sermon Bible is a comprehensive resource that provides preachers and teachers with everything they need to prepare their messages. Each volume has the Scripture passages written out, a sermon outline that is listed in a parallel column, commentary that provides important background information, thoughts for illustration, and other Scripture references written out. There are also discussion boxes that provide suggestions and information for deeper study. For pastors that are short on preparation time, but don't want to cut corners on the quality of preparation, this volume will be an excellent resource. Volume 10 covers 1 Samuel and contains the KJV version. 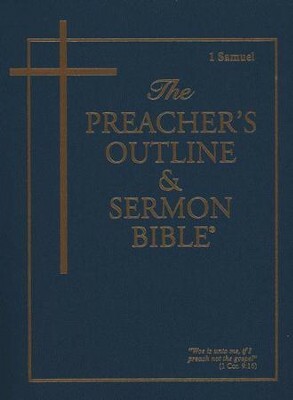 I'm the author/artist and I want to review 1 Samuel [The Preacher's Outline & Sermon Bible, KJV].